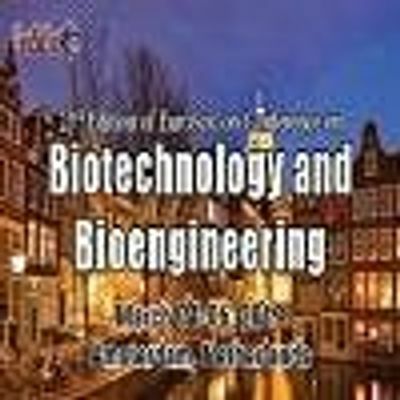 EuroSciCon is happy to announce its next conference “Biotechnology and Bioengineering 2019” which is to be held on March 4-6, 2019 in Amsterdam, Netherlands. The event highlights the theme ’Novel Trends and Advances in Biotechnology and Bioengineering ’. Researchers, academicians, students , scientists , doctors and industrialists all are invited to the conference to share their knowledge and experience to the participants.